Today, the 30th of Shvat, marks 13 years to the cold blooded murder of Efraim Klein HYD, a resident of Crown Heights who had been a staple in the community and a figure known and liked by all, who was shot and killed. The investigation into his murder has long since gone cold. 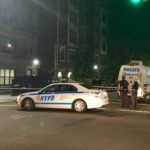 It was on a cold and blustery winter Thursday night, at around 2:00am, when shots rang out in the vicinity of Crown Street and Schenectady Avenue waking some of the sleeping residents who came out of their houses where they learned that a fellow Lubavitcher was shot. 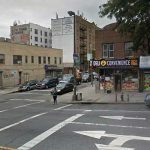 A number of bystanders along with Hatzalah and Shomrim pulled Efraim from the mangled wreckage of his car, which caught fire, and attempted to treat his wounds which proved to b fatal when he passed away at Kings County Hospital a short while later. Thousands attended his funeral outside 770, the Lubavitch world headquarters, where residents of the community gathered to grieve, while community activists thanked the police department for great work they were doing. A press conference was held in the lobby of the Jewish Children’s Museum where politicians gave condolences to the family, and each promised to locate the murderer and bring him to trial. Local business got together and raised reward money in an attempt to obtain information on the incident. One year after the homicide the police distributed reward flyers in an attempt to revive the investigation with new leads, but just like the case which has gone cold so have the police departments efforts. 13 years is much too long for a murder to go unsolved. There must be more we can do in furtherance of Rabbi Hecht’s promise to Efraim, that we would do everything in our power to catch and bring to justice his killer. I cant believe its 13 yrs ago! He was a very good friend of mine. At the time i told police to look into that he had a dispute with his tenant who he had evicted but who got back the apt. Police never got back to me. I still wonder if there was a connection and it wasnt just a random shooting. Can someone ask the police to look into it? Efraim told me about the tenant shortly before he was killed. It was the last time i spoke to him.